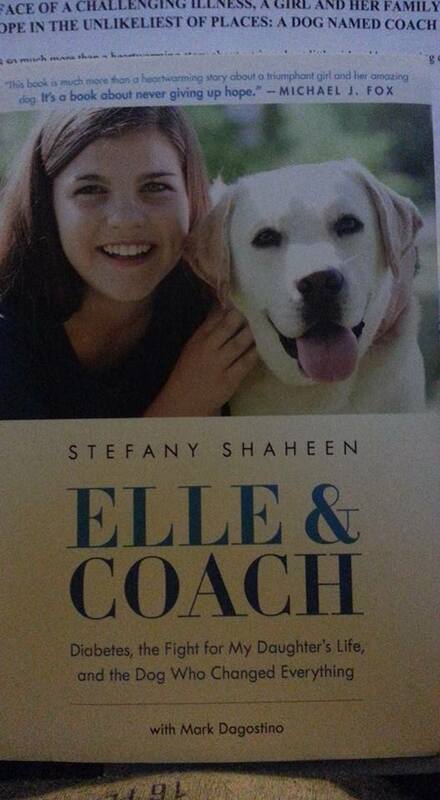 Elle and Coach is a splendid story of a girl and her dog written by Elle’s mother, Stefany Shaheen. However, she’s no ordinary girl, and this is no ordinary dog. Elle has had Type 1 Diabetes since age seven and Coach is a licensed and specially trained diabetes alert dog. Elle&Coach is the riveting account of Elle’s diagnoses with diabetes and the subsequent struggles that followed. This book is their family’s story and how Coach came into their life and changed it. The publisher asked me a few month back to do a book review of this fine book titled “Elle&Coach”. To be frank, I wasn’t the least bit interested! Most of my readers know our life is crazy with two children with Type 1 Diabetes, and two children without. Throw in college and job, and the repeated requests for book reviews all but leave me weary. However, I read the follow-up email over about Elle&Coach, and what I read, simply amazed me. I asked the publisher for a few weeks to get managerial economics class behind me and I’d take a crack at a review. Let me take you through a few highlights. The story starts like any other diabetes diagnoses story; the tale of heartbreak, near misdiagnoses, and child left with a lifelong chronic disease. Life changed for the Shaheen family on the cold November day. However, this was not your normal family per-se; Stefany is the daughter of sitting U.S. Senator from New Hampshire, Jeanne Shaheen. This family was already accustomed to advocacy, so the stage was set for this compelling story. After life had reset to a “new normal” diabetes played the daily antagonist role: nightly blood glucose check at 1 am, counting carbs for each meal, shots of insulin, high blood sugars, and low blood sugars. However, one thing became painfully clear to Stefany that her daughter had hypoglycemic unawareness. 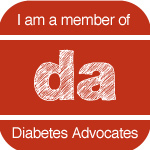 A particularly dangerous disorder more than 17 percent of insulin dependent-diabetics/Type 1 Diabetics suffer from. One year after Elle’s diagnoses with Type 1 Diabetes, she had a severe hypoglycemic episode; she had a seizure and EMT’s saved her life. After a hospital stay, the stage was set. The need for a diabetes alert dog stood out. Stefany had heard of them through her work at the JDRF Children’s Congress. After much reading, she reached out to an organization that trained service dogs for a number of different patients, including Type 1 Diabetics. She placed a call and after some questions, she made a deposit for a diabetes alert dog. However, they would be on a waiting list. A year or so later, the call arrived and Coach was theirs. His impact was immediate, sniffing out bad blood sugar like a seasoned pro. He integrated into the Shaheen household and Elle’s life seamlessly. The story articulately builds a case for Coach; then Stefany explains in a detailed, yet in a witty way, how he delivered on the promise of Coach’s trainers. She weaves a tail all while explaining the life of a family struggling with diabetes. Advocacy flows from nearly every clause. Clean prose and flow of thought makes this book easy for readers to understand, regardless of their knowledge of diabetes. That is no surprise because Elle&Coach was co-authored with the distinguish Mark Dagostino, a New York Times best-selling author. Elle&Coach opened my eyes to how a diabetes alert dog works. The training and the amount of time it takes to bring a dog home. However, this book delivers something I nearly missed. Written in such a passionate way, it will touch anyone who reads it. Coach is not your grandfathers yellow lab; plain and simple he’s special, just like his trainers said. He can sniff out a low blood sugar, a high blood sugar from a many feet way through closed doors. However, this powerful tail may just garner enough attention that it puts Type 1 Diabetes on the national stage. Just maybe, just maybe Coach fetches us a cure for Type 1 Diabetes. This is a tremendous book. 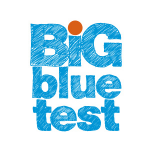 I highly recommend it no matter if you have a connection to diabetes or not. Warning, Coach will own your heart if you read it. This entry was posted in Book review and tagged bleedingfinger blog. jdrf, book review, d-dads, dad blogger, diabetes, diabetes alert dog, JDRF, Juvenile Diabetes, Newly diagnosed child with Juvenile Diabetes, Newly diagnosed child with Juvenile Diabetes Type 1 Diabetes, raising 2 kids with type 1, raising 2 kids with type 1 diabetes, Type 1 Diabetes. Bookmark the permalink.